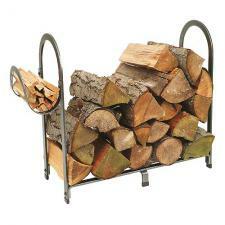 *The largest firewood rack for serious firewood storage features a distinctive arch design, and a generous kindling holder. *Measures 38" Long x 13" Wide x 28" High. *Quality product made by Enclume in the USA - 33 lbs.